ITD IS THE ONLY CIVIL CONTRACTING COMPANY TO BE SO HONOURED. To achieve this recognition a company must have demonstrated capable management, leadership in its ﬁelds of activity, made signiﬁcant contributions to national progress and be a generous corporate citizen. 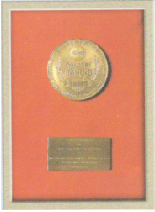 ITD is the only Thai construction company to win the prestigious International Federation of Asian and Western Paciﬁc Contractor's Association (IFAWPCA) Gold Medal Award for civil engineering in 1982. It was awarded to ITD for the construction of the (then) largest and most challenging civil engineering project ever attempted in Thailand - the Khao Laem Dam. International Federation of Asian and Western Paciﬁc Contractors? Associations (IFAWPCA)Mr. Premchai Karnasuta, President of ITD, was elected President of the International Federation of Asian and Western Paciﬁc Contractors' Associations for the period 2003 to 2005. To establish in accordance with the laws of the respective member countries and geographical areas co-operative working arrangements in the furtherance of civil and building construction projects. ITD has an experienced in-house training division responsible for maintaining the high level of construction skills and safety which runs throughout the Company. Training courses covering new techniques, as well as routine courses, on construction and management are held frequently. Safety training sessions are carried out regularly in ITD's head office as well as safety induction courses held on major construction sites. ITD has earned several safety awards on major construction sites. Awards for no lost-time accidents include 20,000,000 manhours on the Star Refinery Project, 5,000,000 manhours on the Thai Oil HDS Project and 5,000,000 manhours on the Rayong Refinery Project. As a reflection of ITD's high construction quality standards, the Company has been awarded ISO 9000 certificates: the Wihan Daeng concrete precasting yard was awarded ISO 9002 in 1997 and upgraded to ISO 9001:2000 in July 2003. The production processes of the complex have been certified to ISO 14001 in 2001. 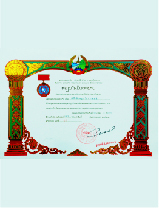 In 1998 the Samut Prakarn Steel Fabrication Shop received the ISO 9002 certification. RECOGNISE THE COMPANY'S PROVEN PERFORMANCE, STRENGTH AND COMMITMENT TO SOCIETY.